What we can learn from Opto Circuits? The investors of Opto Circuits are FRENZY! The stock crashed from Rs. 180.00 to Rs. 50.00. We receive emails on Futurecaps view about the company. About Company: Opto Circuits (India) is a multinational medical device company. It designs, develops, manufactures, markets and distributes a range of medical products that are used by healthcare establishments in more than 150 countries. The company specialises in vital signs monitoring, emergency cardiac care, vascular treatments and sensing technologies. First of all, we did not recommended it, because it was Over-Priced at the time! But in the positive way.. In 2010 it was a very good company, very good growth records, good technology, great recognitions including Forbes Magazine. He is a very good analyst, I would say the investor is Amateur, He approached Stock Market in a wrong way! Gone are the times where Business Owners have sleepless nights, today they have Hedging! Gone are the times where Investors have bad surprises, today they have Diversifications! Gone are the days where Investors blame the bear market, they are Opportunities! We should always ready to bear the Opposite Side of Investing >> When Stock Price reaches 0. If you would have used 10 companies in your portfolio, then need not worry about Opto Circuits. After all, worrying at this level is of no use as the price fall almost 70% from 52 week high. Durable Competitive Advantage Company is a solid player in the technology enabled medical equipment market. Future Growth Drivers We expect the medical equipment business to progress in future too. Low CAPEX required to maintain current operations Working Capital problem exists as per study. Management is holding / buying the stock Management wanted to buy the stock, instead they will prefer to use the money in paying of debts by US subsidiaries. Price is Under Valued (< intrinsic value) Very True, Intrinsic Value falls around Rs. 550 based on current EPS & Growth. Plus the PE is just 2, with price quoting below book value. Stock Price is consolidating Not consolidating, more chance to go down. Appointing new CFO Krishna Sudheendra who was CFO in Bangalore International Airport. Appointing Usha Ramnani (w/o CEO) as Managing Director of US Subsidiary Opto Cardiac. These measures should ease the problems giving a long term view. Based on the current evaluations, discarding the current problems, we believe it is having Multibagger properties. If the company resolves current problems, then in 5-10 year it could reach Rs. 500 through profits & growth. In this view it provides a 10x MULTIBAGGER opportunity. Recommended prices of investing are around 50. Warning: Be cautious with news & alerts on company. Do not invest more than 5% of your portfolio. Minimize risks using Guard Bands! 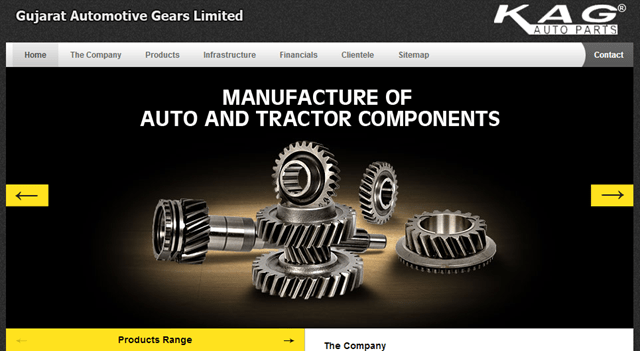 In this post, we can learn the Potential of Gujarat Automotive Gears Ltd. as a Multibagger. This is a small cap company & having peculiarities of growing sales & profits. About: Gujarat Automotive Gears Limited (GAGL) was established in 1973 at Baroda, India for the manufacture of Auto and Tractor components. Marketed under the brand names of KAG, these components serve the aftermarket and OEM’s in India. Two decades of experience, an established network and a synergistic approach to design and execution, ensures quality products and components from concept to completion. Let us apply our usual tool for finding the multi-bagger properties. Durable Competitive Advantage There are other large cap players with the same business. Our company may evolve to achieve Durable Competitive Advantage in future. Future Growth Drivers The auto & tractor industry is to witness more growth due to mechanization of human labors activities. Conservative Debt (long term debt < 3 Net Profit) Current Liabilities 6 Crores. Latest Net Profit is 6 Crores. So we are good. Return on Equity must be Above Average Return on Equity should be above 20%. Our company have 38% and on average 45%. Low CAPEX required to maintain current operations Company is required to invest in Plant & Machinery on a long term basis. Management is holding / buying the stock Promoter Holdings is 70%, it is a really strong holding from the management side. Price is Under Valued (< intrinsic value) Based on the Doubling EPS growth for last 3 years, the Intrinsic Value falls around Rs. 2000. Current Market Price is Rs. 884. Considering the Growth to be continuing for next 5-10 years, the stock should provide 10-20 times returns. Certainly, there are risks associated, but we are Diversifying our Investments to cope with risk. Company is having Multibagger properties, as it is in Small Cap (< 100 crore capitalization) we recommend less than 50% weight age of the allocation. 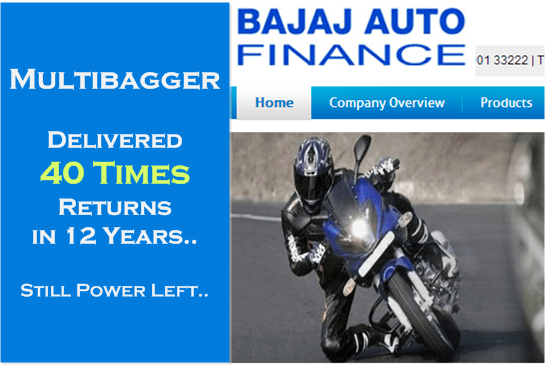 Bajaj Finance Ltd. is a great stock which delivered more than 40 times returns in last 13 years. We can check whether it has Ampere ahead based on our Intrinsic Valuations. Brief: Bajaj Finance Limited is a financial services company that operates branches in India, which provide an assortment of financial services. The stock price is in the up-move as it is a Declared Blue Chip Multibagger. But, considering PE around 12, Book Value Ration just 0.5, I see it as a Good Price to buy & add on declines. Taking average EPS Growth as 30% per year, PE Ratio @ 20, we can expect 20 Times returns in 10 years. Let us analyze the multibagger properties of Hindustan Zinc Ltd.
Why I should Invest in Stock Market? How come the richest people in the world are through Stock Market? Why there are 5% Successful Investors in Stock Market? The obvious answer would be: Learning! What would be the Fool Proof Plan of Investing? We recommend the Layering should be properly followed as the Highest Liquid Layer protects the Immediate Top Layer. 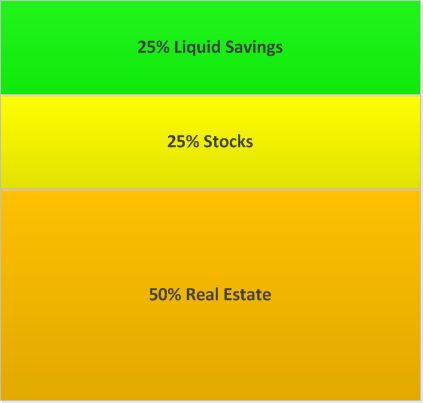 For example, if you do not keep Liquid Savings & only Stocks, then on an emergency you will liquidate your Stocks. This will make you lose interest in investing stocks, thus loose a high speed investment vehicle. For buying & selling stocks, you need a Trading Account with a Broker. For having a trading account, you should have the PAN Card. If you are applying offline, you can get the help of various agencies in your locality. The total cost should be less than Rs. 1000/- & the total waiting time will be from 15 days to 30 days. Please note that the brokerage will be applied for both buy & sell, hence a low brokerage account is advised. You can contact the branch office of each providers for starting the account. ICICI Direct have better web interface than Geojit, T20 is cheaper but the application is complicated.